Smoke damage is one of the nastiest things that can happen to a home. It combines the visual disaster of an eyesore with the foul smell of a respiratory irritant. Smoke damage poses a health risk to humans and pets, especially children and the elderly. Many causes of smoke damage are actually preventable. This is what you can do to prevent smoke damage in your home before it starts. One loose coil can turn an appliance into a fire trap. Broken appliances can become dangerous without much warning. One day something works fine, and the next you’re dealing with short circuits and fumes. Some appliances are much more likely to be a problem than others. For example, a vacuum is much more likely to cause smoke damage than a garbage disposal, even though both can get clogged. Have all your appliances regularly maintained. At the first sign of trouble, turn the appliance off. It’s better to be safe than sorry. Everyone burns dinner sometimes. Usually, it’s not a problem. When things do get out of hand, how you respond is key. Reacting quickly to a grease fire can safely put it out. Attempting to douse the flames with water or smother them with flour or baking powder will only make things worse. Review kitchen safety the next time you go to whip up a snack. Keep flames low and have a plan in case something gets a little more “black and crispy” than “golden brown”. Your home isn’t an ad agency in the 1950’s, so you may already have a “no smoking inside” rule. If you don’t, get one. Smoke damage builds up over years. 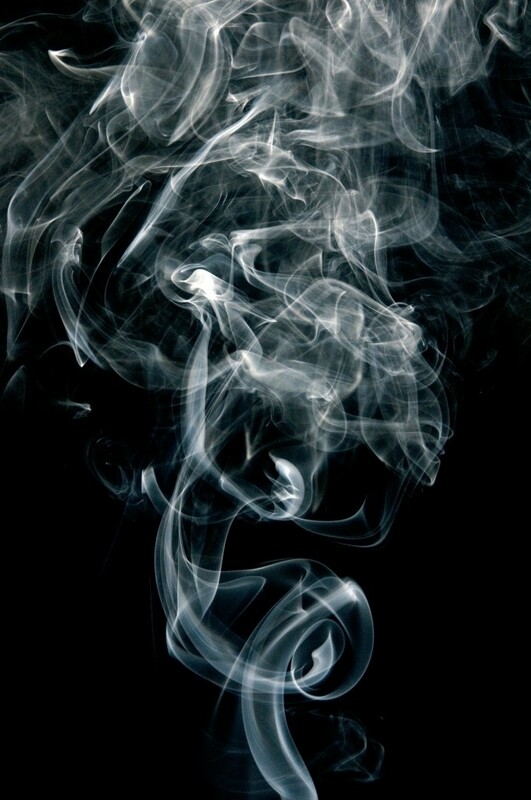 Cigarette smoke is particularly harmful to breathe second hand. Your house’s paint, wallpaper, and upholstery will be smoke damaged permanently within a few months of regularly smoking inside. Light up on the porch or by the street to reduce the damage done to your home. Unplug your electronics when they’re not in use. For things that you don’t want to turn off (think alarm clocks and microwaves) make sure they’re not in a crowded circuit. Any mistake in your house’s wiring may cause your electronics to overheat. Smoking, smoldering electronics play a major role in common smoke damage. An over-loaded power strip can also be to blame for a smoke damage disaster. The more power is drawn through it, the hotter the strip could get. One poorly insulated power surge later and everything on it could be going up in smoke. The most preventable smoke damage comes simple lack of fire safety around the house. Quick action prevents most fires from spreading, and therefore also prevent most smoke damage from spreading. You should have a smoke detector in every room of your house. Fire extinguishers are also good ways to put a stop to any sudden fires. At the very least, have one in the kitchen for those dinner disasters! Preventing smoke damage comes down to prevent the start and spread of fires. Staying on top of appliance maintenance and fire safety rules will go a long way towards cutting down your risk. Keep your kitchen stocked with fire extinguishers and take cigarettes to the street and you’ve lost five preventable causes of smoke damage.